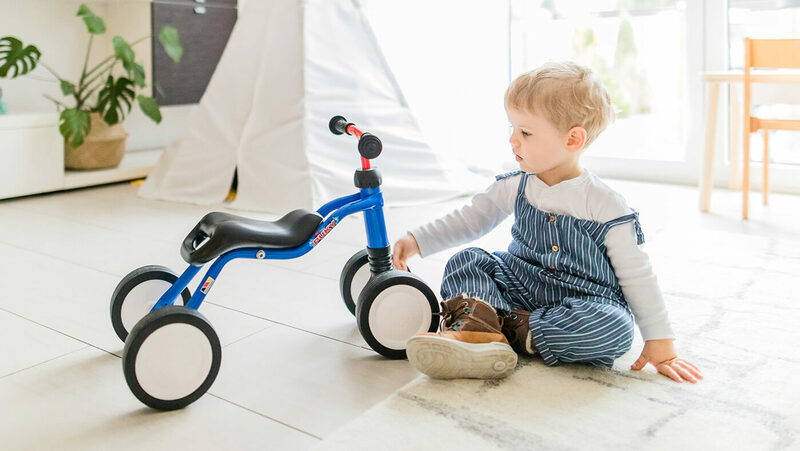 All PUKY® ride-on vehicles are designed so that small children who can already sit or walk can intuitively use them to move about, further developing their motor skills as a result. Simple movements, such as strongly pushing off from the ground, are combined into complex processes - which is clearly very enjoyable. Especially the enjoyment of movement - and that is very important. It is only through movement that the basic senses of your child can develop and form a good foundation for successful learning.